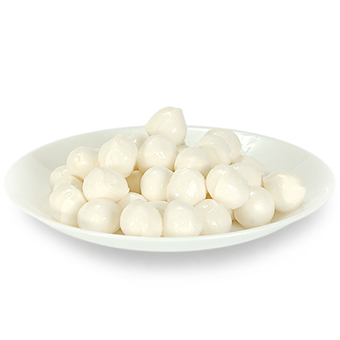 Get the baby mozzarella from the box and clean the cherry tomatoes. If you prefer smaller pieces, you can cut them in half. Arrange them on a plate and pour the dressing on top. Sprinkle or arrange a few leaves of fresh basil for the perfect aroma. 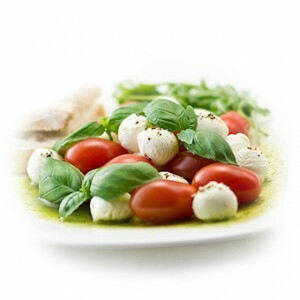 Enjoy the fresh taste of caprese salad with ‘Dobrev’ baby mozzarella!